Car pools and car crashes. Job changes and joint custody. Life can feel overwhelming and inconsequential. 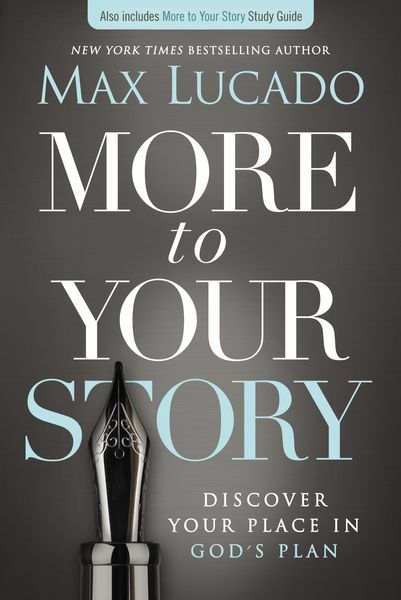 But bestselling author Max Lucado says there’s more to your story than the chaos, confusion, and clutter of daily life. Your life is a crafted narrative written by a great God, who is working toward your supreme good. Join Max on a journey through the great promises of the New Testament and discover your place in God’s plan. Everything changes when you see how your story fits with God’s story. This product features the complete book and study guide, which were previously published under the title God’s Story, Your Story. The More to Your Story eBook does not include the video sessions, which are available for purchase separately.